Get Ready for the U.S. Open! 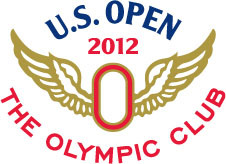 The United States Open Championship (U.S. Open) begins soon (June 11th-17th, to be exact) and will be held at the Olympic Club’s Lake Course in San Francisco, California this year. Hole In One International is anxiously awaiting to see which one of the amazing 156 worldwide golfers will go home with the renowned trophy this year. Be sure to tune in to NBC or ESPN to watch the excitement for yourself — this isn’t an event you’ll want to miss! Did you know that the first ever U.S. Open was played on October 4, 1895, on a nine-hole course at the Newport Country Club in Newport, Rhode Island? The 36-hole competition played in the span of one day and consisted of ten professionals and one amateur. The winner was 21-year-old Horace Rawlins from England, who had arrived in the United States in January that year to take up a position at the host club. His earnings consisted of $150 cash out of a prize fund of $335, plus a $50 gold medal. His club acquired the Open Championship Cup trophy, which was presented by the USGA. Who do you think the player(s) to watch this year are? Let us know by leaving us a comment on any of our social sites: Facebook, Twitter or Google+! Home » Blog » Get Ready for the U.S. Open!